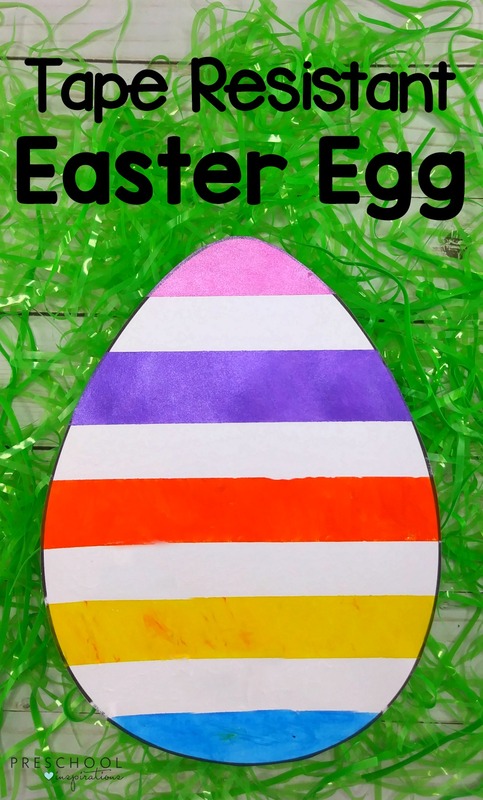 Are you looking for a creative Easter activity for your preschoolers? 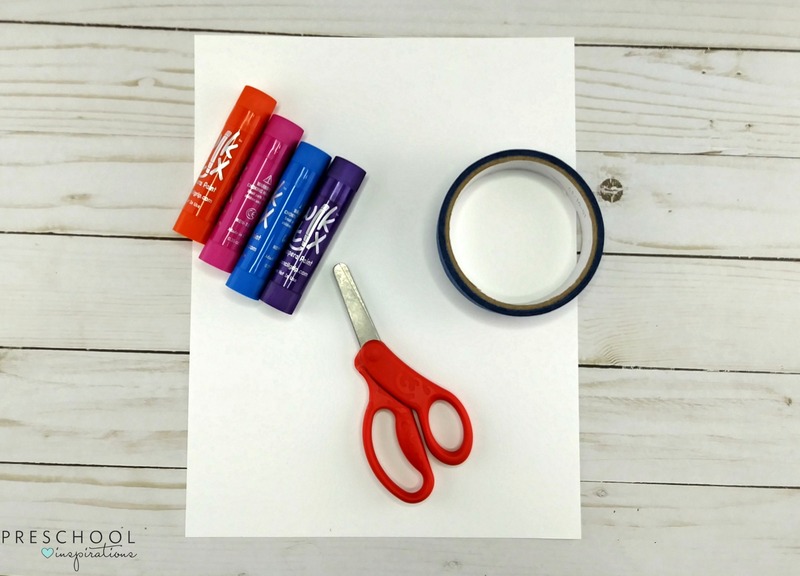 This Tape Resist Easter Egg Art is a festive holiday project that your students can make uniquely their own. This process art craft is easy for young children to create and a fun way to decorate an Easter egg. To begin making this Easter art project, your students will draw a large egg on a piece of white card stock or another type of heavy paper. If your students are having a difficult time drawing an egg, you can make an egg shaped template out of cardboard. Your students can then use the template to trace an egg on their paper. 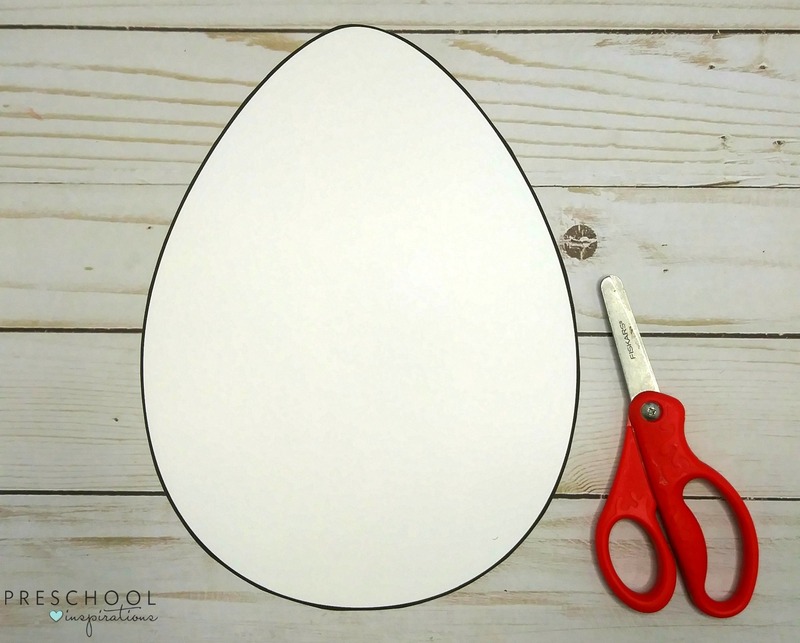 After drawing or tracing the egg, they will cut it out. 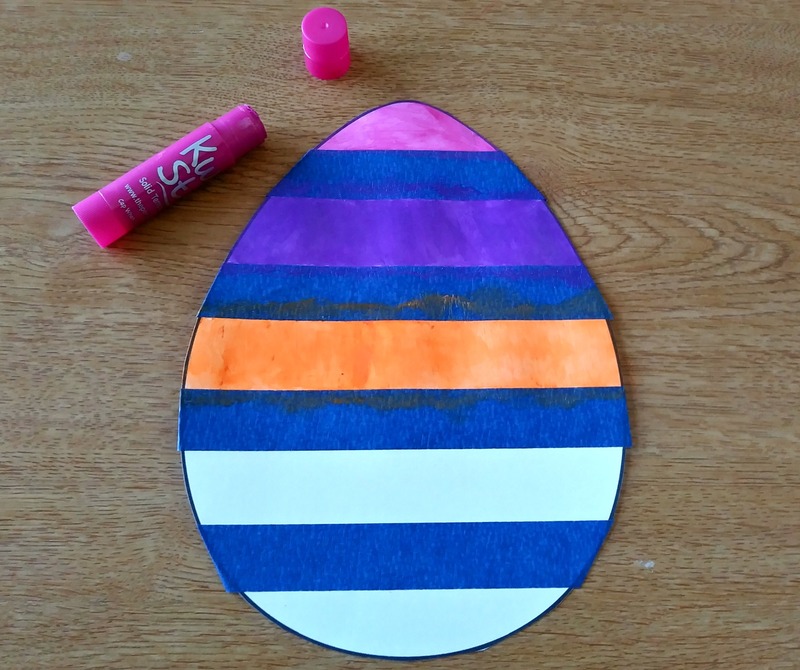 Next, your students will use painter’s tape to create different lines on their eggs. They can use straight, zig-zag, or diagonal lines. Your students can use the tape to create different shapes too. After adding the lines and shapes to their eggs with tape, the children will paint the rest of the paper or all of the white spaces. You can use any type of paint such as tempera paints or watercolors. For this activity, we used paint sticks because they are easy for young children to use and a mess-free way of painting. 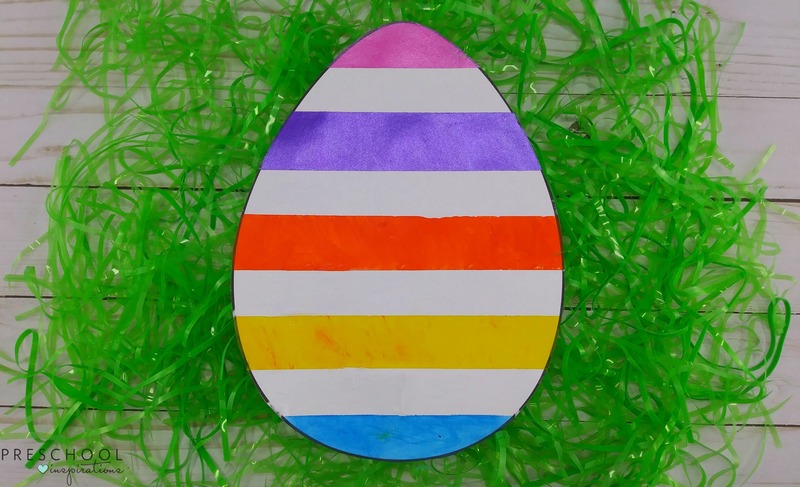 After the paint dries, your student can carefully remove the tape to show their colorfully decorated Easter egg. 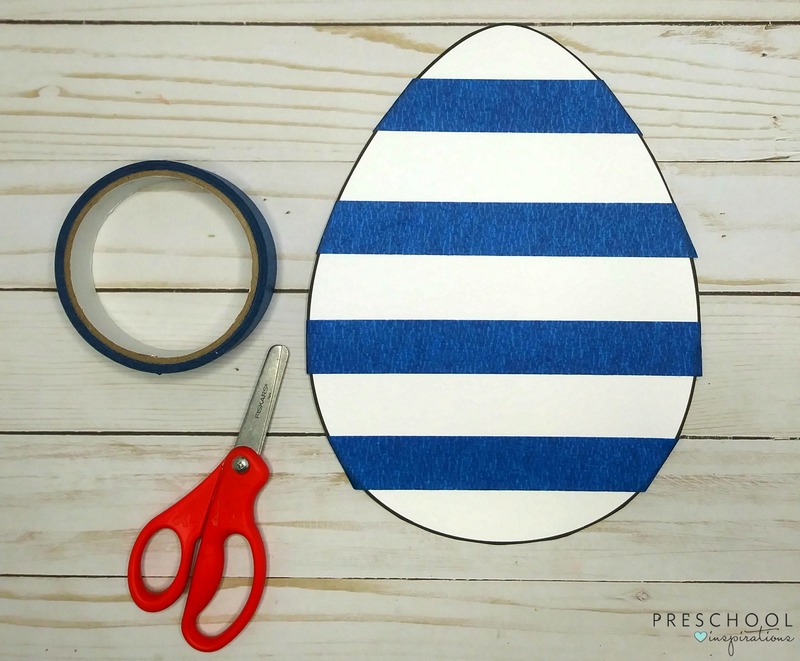 This Tape Resistant Easter Egg Process Art Craft is not only a fun and create activity for your preschoolers, but it is also a cute and creative decoration for the upcoming holiday. You can string all of your students’ eggs together to create an Easter egg garland that will look adorable hanging in your classroom.